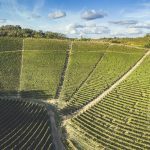 Discover Wineries, Vineyards, Private Wine Tours, Truffle Hunting & What to do in Monforte D'Alba, Langhe, Piedmont, Italy. 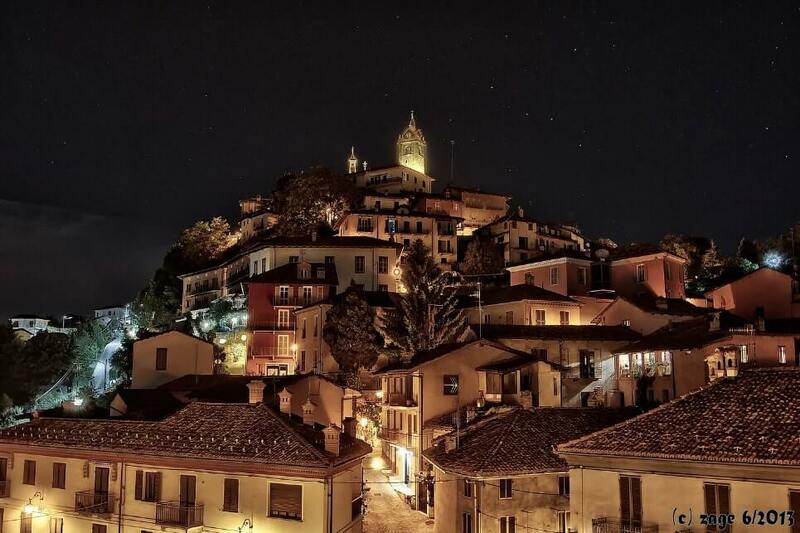 The small Italian village of Monforte D’Alba is one of the most interesting historical centre of Langhe’s area. 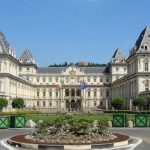 In this travel guide you will find the best place to see, where to sleap and what to do, best tours and experience (wine tours, truffle hunting, cooking lesson), Cycling & Hiking Tours in Monforte D’Alba. The name of the village derives from the latin “Mons Fortis” and alludes to the important position from the defensive and strategic point of view of the village, that is situated on a hill and fortified by a surrounding wall. From Monforte they can enjoy a wonderful view of surrounding hills upto the Alpine arc. After a sequence of events, the village became, in the thirteenth century, the feud of the Marquises Del Carretto, which later were replaced by the Marquises Scarampi of Cairo. In 1703 it was conquered by the troops of Savoy House, and then finally went to the kingdom of Piedmont and Sardinia. The old town centre, fan-shaped arranged and perched around the old bell tower, was restored several times, in particular many noble and bourgeois palaces, bringing the village to its former glory. At the center of the village is located Scarampi Palace which stands on the ruins of an ancient castle, documented in texts of the eleventh century, but no visible traces are available. Far away from the center is located the imposing parish Church called “Madonna della Neve”. The building began in June 1909, according to the design of the engineer Giuseppe Gallo of Turin, and finished in October 1912. It has a neo-gothic style and presents a latin cross plant The main facade is preceded by a wide staircase. The facade is divided in three vertical bodies. On the portals appear high-reliefs, created by Oreste Torello of Biella. A curiosity that concerns the village is linked to the presence, during the eleventh century, of a large community of heretics. In the middle of the eleventh century, the archbishop Aribert, head of the Diocese of Alba, ordered the deportation of Monforte’s heretics to Milan, where they were burned at the stake. An inn in the center of the village remembers this sad event. Monforte D'Alba. 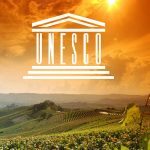 From June 2014 the vineyards are part of the heritage of Unesco. A few kilometers away from the main village, on top of a hill surrounded by two wooded areas, is located the small rural village of Perno.The small village was established around the castle, built in the thirteenth century and profoundly altered during the eighteenth and nineteenth century. The exterior curtain wall is the oldest part, built in splitted stone masonry, equipped with small defensive towers to protect the corners. 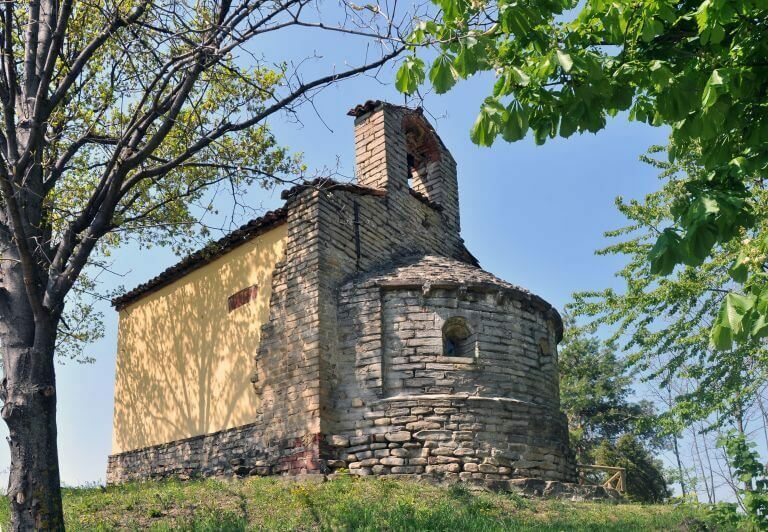 Next to the castle is situated the country chapel dedicated to Santo Stefano, built in the same period of the castle on a site previously used as a burial ground. it was reshaped between 1753 and 1757. Inside are preserved frescoes of the late fourteenth and early twentieth century. 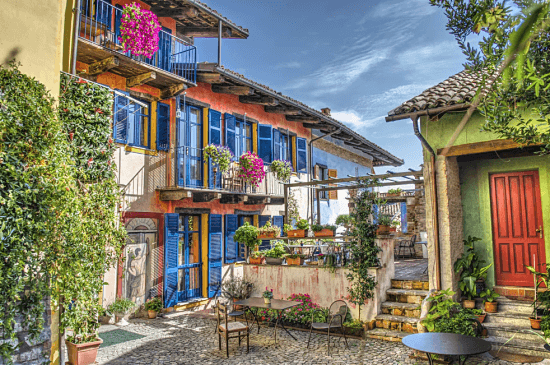 What to sleep in Monforte D'Alba? Find the best Luxury Hotels, Bed and Breakfast e room renting in Monforte D'Alba.